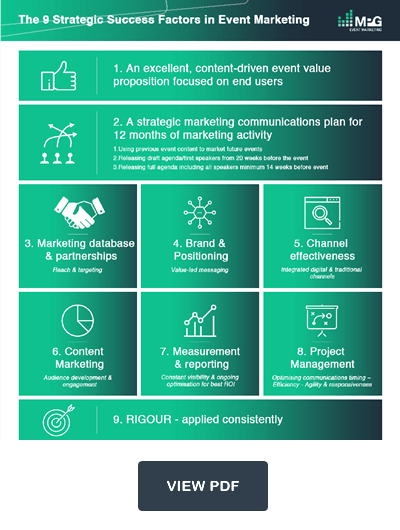 In this blog series we’ve delved into a huge range of strategy, tactics and skillsets that can take your event marketing to the next level. Hopefully, event marketers following our posts have been able to pick up plenty of ideas and guidance they can successfully apply to their own working techniques. But being inspired by theory and putting that theory into practice are two very different things. We wanted to finish this series with a short piece tying together the contents of the past ten blogs. Because for our strategic tips to really move the needle for you there is one thing you simply have to have for it to work: rigourous execution. Event planning and event marketing is relentless. With so many moving parts and such a diverse cast of stakeholders, sponsors and partners the ability to maintain your energy levels is one of the most fundamental requirements. You must ensure the marketing capability you build isn’t just capable of putting in place strategy and delivering a plan in short bursts. They must be able to do it CONSISTENTLY and CONSTANTLY. This is even more the case if you work in an agency, where it’s likely you’ll be delivering multiple events simultaneously that are all considered equally important. If you or your team can’t roll with the punches or think on your feet to overcome challenges – all the while looking bright-eyed and bushy-tailed – then things will soon unravel. The best event marketers thrive on the pressure and creatively channel the buzz they get to drive their events forward. Just as you should rigorously work at implementing your plan, you need to be continually checking in on its progress. Focus on the bigger picture and the overall progress of event marketing planning delivery is what delivers quality events. Even one week of taking your eye off the ball or letting a few deadlines slip can cause a chain reaction that will have you on the back foot for weeks. As mentioned in our recent project management blog, weekly meetings and follow up with stakeholders is crucial. Rigour isn’t just about working hard, it’s about making sure every day you do what needs doing so you get results. Discipline doesn’t just apply to your internal workings and ensuring your team delivers. It also applies to the way you manage external stakeholders. Events are so time sensitive and require so much planning that all moving parts have to be in place in a timely fashion. A lot of the elements you need to drive a successful event have to come from others. You must strike the delicate balance of ensuring other parties produce what you need when you need it. It can feel a little awkward at times, but it’s a skill you have to master. We hope you’ve enjoyed this series of blogs and have plenty of food for thought to apply to your event planning and marketing. We’ll be continuing to add lots of insightful and strategic content that can help you improve your marketing campaigns. So be sure to follow us on Twitter and LinkedIn to get our latest updates. Whatever lessons you’ve learnt, make sure to apply them with rigour. After all, it’s hard work, not hard thinking, that ultimately drives you over the finish line. Event management is a complex process. The sheer scale and complexity of events can be overwhelming. Many great event concepts fail in execution due to organisational issues. So, the world did not end on 25th May and we had a sunny bank holiday weekend to celebrate! Although a tremendous opportunity for sound businesses, those who won’t admit they got a few more grey hairs and suffered a few sleepless nights from Friday’s GDPR deadline are either overconfident or pretending.. 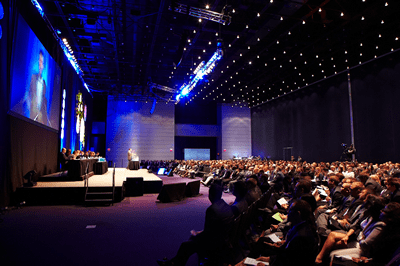 In an increasingly competitive events industry, marketers can no longer take a tactical or ad hoc approach. Strategy is now king. Here, Kirsty Joynson launches a new blog series dedicated to helping event marketers deliver effective, world-class event marketing strategies, plans and campaigns.